With January being a quiet month for me, I've had the wonderful opportunity to spend more time reading. Something for which I'm most grateful. Over recent days I've taken a small selection of books to my bosom and have been dipping into them as tonic for my soul. Filling the well, as it were. If you need more about filling the well, please refer to Julia Cameron's description here. I might read a paragraph or several in a sitting, maybe a page or two from one book, then float along to another. All the while gathering phrases, images, and thoughts of what I'm reading -- much the way a bee collects nectar from plants and makes it into honey. I might marvel at the brilliant way an author has crafted such a sparkling line so that it makes me stand still in my tracks. Or underline a well chosen phrase that evokes such tender feelings or sparks a memory, long lost, to burst into my mind. Trickle past the knees of trees, ..."
Oh yes, I remember the dwindled creeks of summer -- mostly dried up and quite unremarkable, just as Mary said. But, in my earliest childhood remembrances, there was a time when the creek came alive in the Spring Thaw. 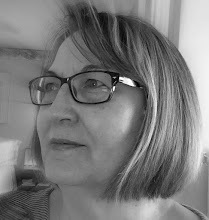 When the deep snow drifts started melting, the water rushed and roared its way from the back meadow down the gully through the fields, past the barns, around the 'knees of trees', gushing its way under the highway through the culvert, and out into the neighbour's slough. According to my mom, it was no place for little children to be found playing -- it was far too dangerous that time of year. As a child I used to wait for the Spring Thaw just for the thrill of hearing that great roar of water rushing past our yard. It only lasted a day or two, and then the creek would return to its trickle-y and creeky self. The worst that could happen then was the misfortune of swamping one's rubber boots and ending up with wet socks. Since hearing the sad news of Mary Oliver's recent death, I've been reading the small cluster I have of her poetry. I used to followed her online and shall miss her daily offerings on my social media feeds. I don't know why, but I tend to search out the works of many artists, singers or authors who pass away, people like Leonard Cohen, Aretha Franklin, and now Mary. I might dig out things I haven't read in ages, maybe finally listen to something I always meant to but never did, or learn a little more about who that person was as an individual. Makes me grateful to the news media for searching out these details and sharing them with us. I wonder if it's an effort to grasp hold of that unique 'something' we hope won't disappear along with the person's last breath. Sometimes we don't know what a gift we have until it's gone, and then we realize we're going to miss them, so we take solace in their work, their contributions that remain. Perhaps it's a tribute, a recognition of that person's impact on our own lives, for even if we didn't know them personally, they are a part of us. After all, for a season we all spun around the sun on this planet together. We have something in common. We share the same era. She really says it in a nutshell, doesn't she? Great words for poets and writers to heed ... in truth, for any and all of us. I'm particularly drawn to the line "Be astonished" and you'll see why in a minute. The whole poem is worth reading, you can find it here. 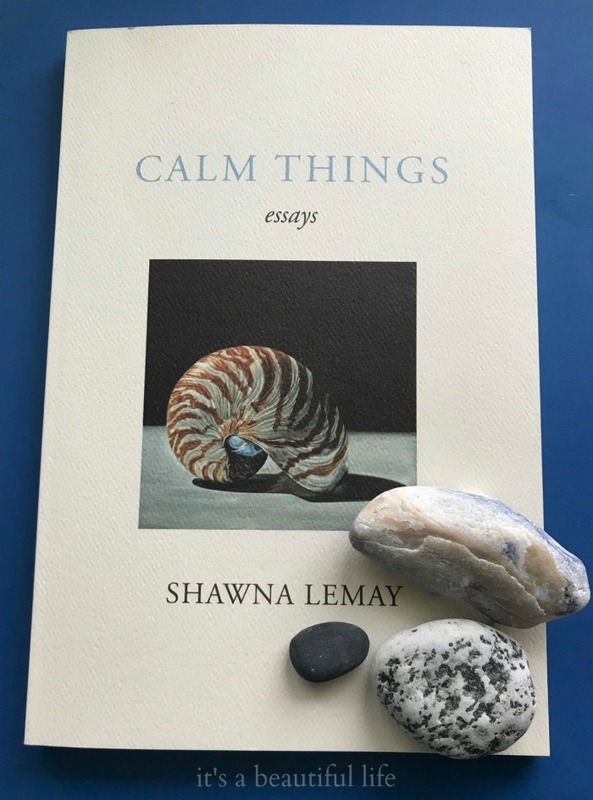 I have been reading Shawna Lemay's book Calm Things where she muses about still life art. She mentions going to the grocery store one day and, seeing a display of apples, remembers that apples became a motif for the French artist Paul Cézanne. "Cézanne said, I want to astonish Paris with an apple! There's the word "astonish" again. Is it possible to still be astonished? By something as ordinary as an apple in a grocery store display? Two poets and an artist seem to think so. Do you recall a moment in your life -- maybe it was just this morning -- when you felt yourself in awe or wonder at something as simple and beautiful as a piece of fruit? With Shawna's mention of Cézanne, I went in search of some of his paintings, particularly any with apples in them. After all, he said he wanted to astonish Paris with an apple. 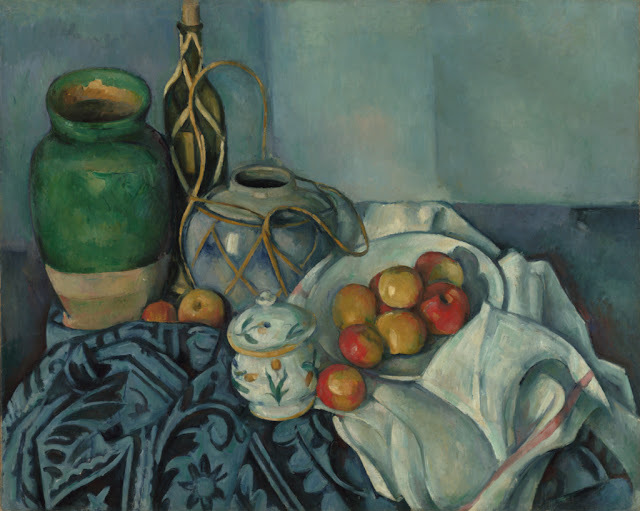 As it turns out, I think the apples astonished him, because during the last thirty years of his life, Cézanne painted the same objects--the green vase, the rum bottle, the ginger pot, and the apples--over and over again. You'll see them in the painting at the beginning of this post. I want to mention a book that I don't have in my current reading pile, but the author writes something that fits with this theme of paying attention, being astonished, and telling about it. In her award winning book A Sense of Wonder -- a book I keep borrowing from the library -- Rachel Carson shows her readers how to see the world with new eyes. In this lovely essay, Rachel tells us about the summer when she and her grandnephew, Roger, wandered the woods and tide pools near her cottage in Maine, USA. And as she introduced Roger to the natural wonders around them, she realized she'd found her own renewed sense of wonder again. we begin to see life in a fresh and vital way." eyes to see with fresh awareness. If you are receiving this post by email, I'd love to hear from you. 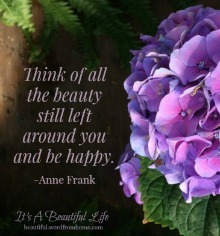 You can click on Brenda @ It's A Beautiful Life here or on the link below, and it will take you directly to my blog. You are welcome to leave a comment there, or if the comment box is being unfriendly, feel free to get in touch by email. Mary Oliver's death has brought her poetry back into my awareness. I enjoy "quiet books". 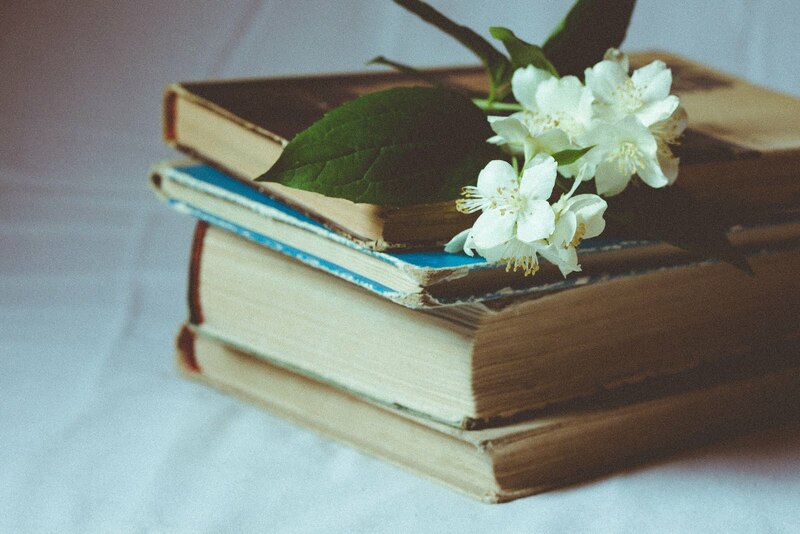 The Madeleine L'Engle journals and any of May Sarton's works are some of my favourites. I'll look for Sense of Wonder and Book Girl. Oh, Brenda, I do love this post. I am a fan of Mary Sarton and also Rachel Carson, especially her book "The Silent Spring." Anyway, I do love "Pay attention, Be astonished, Tell about it." I do try to live in that frame of mind and I think I do when it comes to the garden. I "pay attention" in the cold of February, looking for any sign of the peonies peaking through the soil. And even after all these years as I watch them grow, I am totally "astonished" by their magnificent blooms. You can well believe "I tell about" their blooms." I must admit that I am often astonished by some simple fruit and have to get my camera and capture that moment.SImple,yet so beautiful. In this season of busy (senior year/graduation for one daughter, wedding planning with another), these words are a reminder: Pay attention. Be astonished. Tell about it. I'd like to do those things! I've always admired those who can take on more then one reading book at a time. You are one of them. I do love those instructions for living life: "Pay attention, be astonished and tell about it." I have been a L'Engle fan for decades but haven't read this book, must find it. O'Donohue's Beauty is a favorite I dip into regularly! And I smiled to see the Cezanne painting you opened with! Vincent Price introduced me to his love of his still lives in one of his books, I find them charming. Mary Oliver's poetry lies ahead of me, I must read it after seeing so many quotes about it on blogs recently. I certainly love her instructions on living a life that you've quoted here. Lots to aim for there, isn't there? Nothing nicer than spending a gloomy winter's afternoon with a good book. I suppose cake might make it nicer.